Discovered in The Fiddler, Cleethorpes, a nice pub in the market square, the Curry-Lover’s Pie is a nice addition in the attempt to spread the curry word. At £5.95 the menu states that it’s been “created by Ruth Armstrong from Akenside Traders in Newcastle Upon Tyne and is British chicken in a curry sauce with potato, peas, onion, garlic and coriander on a short crust pastry with a puff pastry lid”. 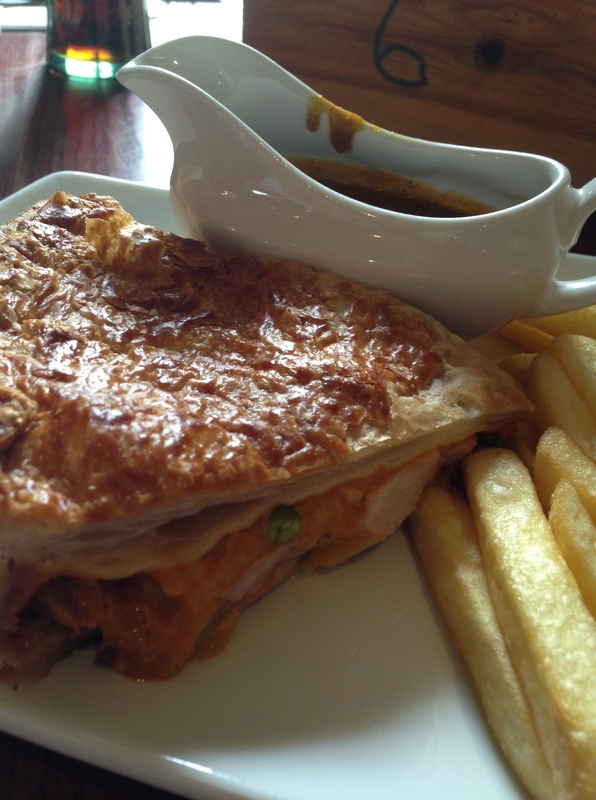 It comes with chips, peas, and a pot of curry sauce to smoother over the pastry. The Fiddler is part of the Stonegate group of Great Traditional pubs and the pie, which was entered into the group’s annual pie competition is available in 144 of those pubs across the country.